The Morganville Vampires together with Vampire Academy and House of Night must be the YA vampire series trifecta. The Morganville Vampire series is slightly lesser known than the other two, but still very popular, and published in the high-days of vampire fiction in the 00’s. Claire is an exceptional student, but because her parents consider her too young, she goes to Morganville instead of Harvard or Yale. Here she meets the ultimate homicidal mean girls that have decided to make her life hell, and soon she gets mixed up in something even worse. The beginning of Glass Houses is slightly ridiculous. The resident mean girls are over the top, and Claire often acts like fourteen instead of sixteen. The age level isn’t helped by the fact that her parents treat her in an extremely selfish way – who the hell sends their child off to some random crap university with a huge drop-out rate, when the kid could go get an Ivy League education? The first few chapters are extremely juvenile. I was looking forward to reading a young-adult book set in college, but this was worse than many high school novels. Maybe I just won the social lottery, but I was never secretly pinched or kicked or tripped or cussed at by other students in high school, nor did I do any of those to others. Does that kind of thing actually happen? For me high school was mostly peaceful co-existence, and college is even more laid-back. It took a lot of suspension of disbelief to deal with this childish bullying theme. Once we meet the gang of Eve, Shane and Michael, the story gets a lot better. They are all slightly more mature, and have these family dynamics going on which are entertaining, engaging and endearing. 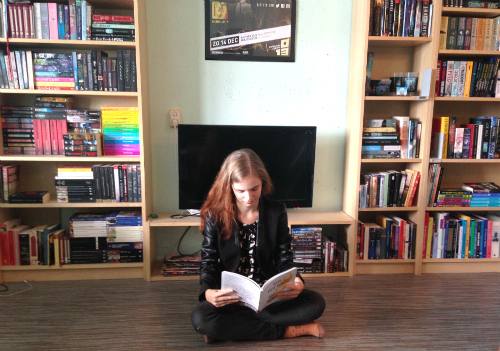 Together with Claire we learn more about the truth and rules of Morganville. A lot is still left in the dark in Glass Houses, with plenty of fighting and running away without the reader (and Claire) truly grasping what they’re exactly running away from. The atmosphere of dread is strong without there being a clear source. 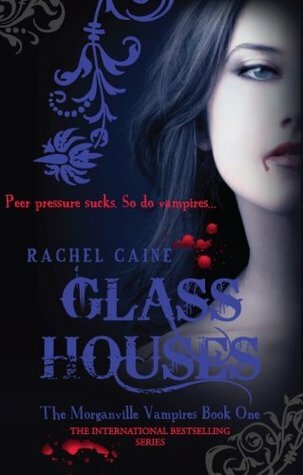 Glass Houses serves as a decent introduction into the Morganville Vampires series. By the end of it, we have an interesting set-up for the next book, which I’m very much looking forward to. Glass Houses has its issues, especially the beginning, but the story quickly engrossed me.